Windsor House Antiques, one of Britain’s leading antique dealers, celebrates sixty years of trading by launching House Bargains, where some exceptional pieces are offered at almost half their original price for a limited time. House Bargains is an additional service to the recently launched website. The Company is at the former Royal residence of the Duke and Duchess of Gloucester, Barnwell Manor, which has been the flagship gallery for eighteen years. D. Kevin Smith founder of Windsor House Antiques begun from a one-man operation in Leeds in Yorkshire in 1957. The Company now is globally recognised, with galleries that have been based in Mayfair, Los Angeles, Hong Kong and Kyoto, the latter where a museum was created. The Windsor House Antiques selling website, http://www.windsorhouseantiques.co.uk the brainchild of D. Kevin Smith was launched four years ago. One collector commented how refreshing it was to have prices flagged on an antiques website. House Bargains offer exceptional pieces from the Windsor House Collection, some prices are reduced by almost 50% for a limited time. 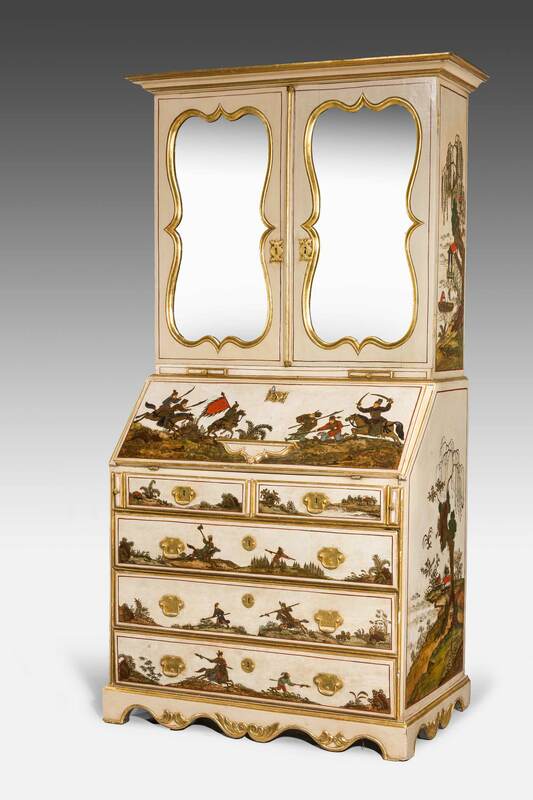 One key piece is an 18th Century German chinosierie white lacquer bureau cabinet, decorated with warriors and country scenes – reduced from GBP18,500 to GBP9,500. 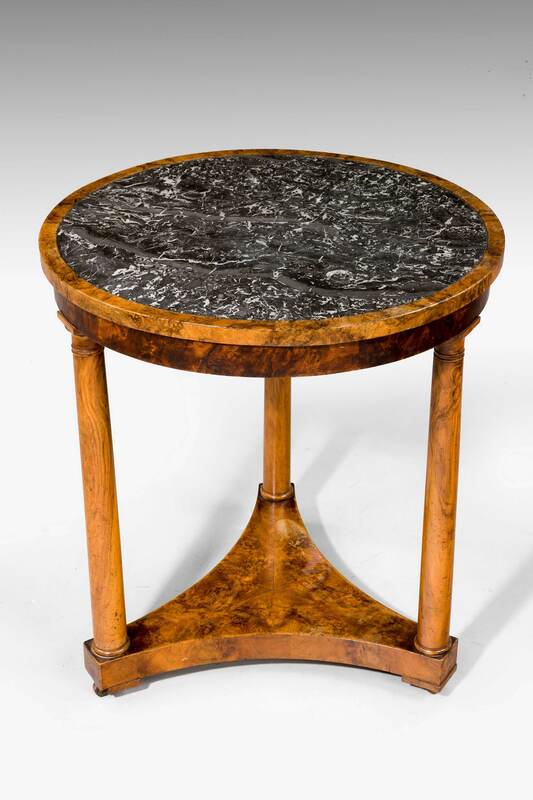 A further exceptional piece is a 19th Century burr amboyna gueridon with the original inset marble top reduced from GBP5,300 to GBP3,800. All the pieces offered on House Bargains were bought as a group and are no longer central to the collection; and are able to be offered at a lower price. All pieces have the Windsor House Antiques guarantee of excellence and authenticity. Windsor House Antiques has grown from a small one-man operation into a globally recognised company, which is now assisting the third generation of clients. Showrooms have been located in townhouses in Grafton Street and Dover Street in London’s Mayfair, as well as galleries in Melrose Avenue in Los Angeles, Hong Kong and Kyoto D.Kevin Smith was involved in not only sourcing collections for a museum in Kyoto, but was also involved in the design of the building. The companies are members of LAPADA, where D.Kevin Smith has acted as vice chairman for 23 years, and also CINOA a confederation of leading antique dealers and adheres to both organisations strict codes of practice. This press release was distributed by ResponseSource Press Release Wire on behalf of Cassleton Elliott in the following categories: Entertainment & Arts, Leisure & Hobbies, Home & Garden, for more information visit https://pressreleasewire.responsesource.com/about.